Wagner says he is proud of Michigan's defense. Tyler Davis made Layup. Assisted by Robert Williams. Admon Gilder made Two Point Tip Shot. Robert Williams missed Two Point Tip Shot. DJ Hogg made Three Point Jumper. TJ Starks made Three Point Jumper. Robert Williams made Dunk. Assisted by TJ Starks. Admon Gilder made Layup. Assisted by Robert Williams. 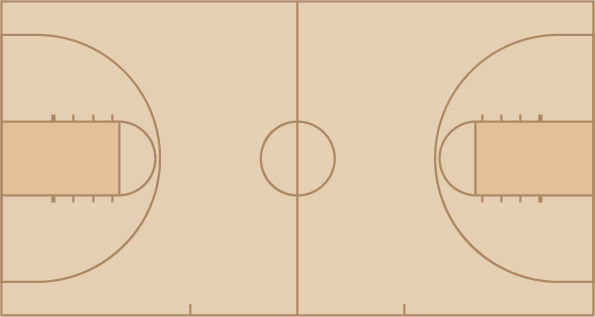 Tonny Trocha-Morelos made Three Point Jumper. Assisted by Admon Gilder. DJ Hogg made Two Point Tip Shot. Admon Gilder made Layup. Assisted by DJ Hogg. Robert Williams made Dunk. Assisted by Admon Gilder. Tyler Davis made Layup. Assisted by Savion Flagg. Moritz Wagner made Layup. Assisted by Muhammad-Ali Abdur-Rahkman. Moritz Wagner made Jumper. Assisted by Jordan Poole. Muhammad-Ali Abdur-Rahkman made Three Point Jumper. Assisted by Zavier Simpson. Ibi Watson made Three Point Jumper. Assisted by Jaaron Simmons. Duncan Robinson made Three Point Jumper. Assisted by Jaaron Simmons. Zavier Simpson made Three Point Jumper. Assisted by Duncan Robinson. Charles Matthews made Three Point Jumper. Assisted by Muhammad-Ali Abdur-Rahkman. Duncan Robinson made Dunk. Assisted by Zavier Simpson. Charles Matthews made Jumper. Assisted by Duncan Robinson. Moritz Wagner made Three Point Jumper. Assisted by Duncan Robinson. Duncan Robinson made Three Point Jumper. Assisted by Muhammad-Ali Abdur-Rahkman. Moritz Wagner made Layup. Assisted by Charles Matthews. Moritz Wagner made Dunk. Assisted by Muhammad-Ali Abdur-Rahkman. Isaiah Livers made Layup. Assisted by Muhammad-Ali Abdur-Rahkman. Austin Davis made Dunk. Assisted by Jaaron Simmons. C.J. Baird made Three Point Jumper.